Family: Husband/professional golfer (박진우), 2 daughters and 1 son. Lee Yo-Won was born on April 9, 1980, in Seongnam City, Gyeonggi Province, South Korea. In 1997, during her sophomore year in high school, Lee Yo-Won applied for a modeling contest and was picked as the winner. After the contest she debuted in the monthly fashion magazine "Figaro" (휘가로) for its November issue. In 1998, Lee Yo-Won made her acting debut in the film "Scent of a Man". While acting for her first movie, Lee Yo-Won sometimes tore up because staff members only applauded the other actors for their work. Then some staff members noticed her tears and mentioned she was good at tearing up. That was the first time she heard positive words about her acting. With her confidence building and gaining more attention from the staff members, Lee Yo-Won realized she wanted to pursue acting as a profession. For her second film, Lee Yo-Won played gas station attendant Galchi in the hit movie “Attack the Gas Station!” which sold 2.4 million tickets. Thanks to the popularity of that film Lee Yo-Won started to gain recognition from the public. Lee Yo-Won then acted in several television dramas. In 2001, Lee Yo-Won's big breakthrough came in the KBS TV drama "Blue Mist" (Pureun Angae). For the first time Lee Yo-Won played the lead character in a TV drama and the series became a big hit. The drama itself contained a controversial (for its time) storyline involving a woman in her early 20's becoming involved romantically with a married man in his 40's. In the same year, 2001, Lee Yo-Won acted as one of the three main characters in the critically praised indie film "Take Care of My Cat" directed by female director Jeong Jae-Eun. The film was chosen as one of the 5 best films of 2001 by "Cine Seoul" magazine. Lee Yo-Won mentioned in a 2009 interview with "Elle Korea" fashion magazine that "Take Care of My Cat" was her most memorable work. Lee Yo Won also got Baeksang Award for Best Newcomer Actress by the movie Take Care of my Cat. In 2003, at the age of 22, Lee Yo-Won made the surprising announcement that she will marry. On January 10, 2003, Lee Yo-Won married professional golfer & businessman Park Jin-Woo. Lee Yo-Won temporarily put her acting career on hold while she went to the U.S. with her husband to study. Lee Yo Won accompanied her husband to get Master degree in University of San Diego while Lee Yo Won also wanted to study English in U.S. In December 2003, Lee Yo-Won had a daughter. In an interview with TV show "Section TV - S Diary" on MBC, Lee Yo-Won mentioned that at the time of her marriage she was tired of acting and the demands placed on her. One week before her marriage, Lee Yo Won still had to complete her filming schedule for drama “Daemang”, she was really at her peak and busy as an actress at that time as she decided to get married. In 2005, Lee Yo-Won made her acting comeback in the SBS drama series "Fashion 70's". She chose the role for three reasons: because it was a historical drama, that it was directed by Lee Jae-Kyu (who previously directed popular female oriented detective drama "Damo: The Legendary Police Woman") and that it dealt with a woman's career and success rather than a pure love story. Actually she was afraid of her comeback that people can’t accept her. She got some criticisms for her life in US that she on purpose gave birth outside Korea. She said because now she has a family, if she was mocked, her family will get the impact too. But she got big support from her husband said that “don’t really bother of what people say”. Before taking "Fashion 70s," Lee Yo Won starred in a movie “When Romance Meets Destiny” as supporting actress, she said she likes the character and on purpose not to take as lead actress for her first comeback to entertainment. After "Fashion 70's," Lee Yo-Won acted in various drama and movies. She acted in medical drama "Surgeon Bong Dal Hee" as the main character Bong Dal Hee who was a resident doctor, struggling to be a surgeon even she herself had heart problem of her health. The Drama again made a success in TV rating, Lee Yo Won won Three Awards for this drama : Top Female Excellent, Best Couple (with Lee Bum Soo), and Popularity Award in SBS Drama Award 2007. Another hit was movie "May 18" which was from real story of Gwangju incident in 1980, the movie attracted millions viewers on theatres and becomes first local movie in that year which can successfully compete against Hollywood movie. The end of 2007 until half 2008, Lee Yo Won acted in drama Bad Love (Cruel Love) with actor Kwon Sang Woo. This drama was a mellow one about love, unfortunately the drama wasn’t good in TV rating in Korea, and it said that the genre wasn’t popular at that time in Korean drama industry. In 2009, Lee Yo-Won performed in another smash-hit television series, this time in the MBC historical drama "The Great Queen Seon Deok". Lee Yo-Won played main character Queen Seon Deok, who possessed extraordinary intelligence and strength. In an interview with "Star News," Lee Yo-Won stated she was tired of playing woman who were fragile and weak and eagerly took the role of Queen Seondeok because of this. At first, some people doubt about her acting as Queen Seon Deok because they just recalled her acting as fragile and teary woman in Bad Love, but the PD and director of "Queen Seon Deok" believed that Lee Yo Won deserved the role, the "Bad Love" case wasn’t wrong with Lee Yo Won’s acting skill, she was good at it, what ruined the drama was the storyline itself. And right, Lee Yo Won successfully played the main role Queen Seon Deok, the drama become drama of the year and national drama in 2009. She played opposite Go Hyun Jung, even though some people always wanted to compare the two of them, but Lee Yo Won humble said that Go Hyun Jung is her senior and really appreciate her acting. 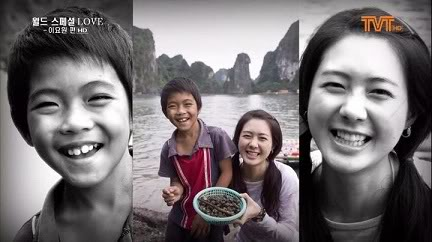 In 2010, Lee Yo-Won's next film "The Recipe" was released in late October. She appeared at the world premiere for "The Recipe" during the Pusan International Film Festival (in which AsianMediaWiki attended). During the question and answer session Lee Yo-Won stated she chose the film, because she wanted to work with another female director due to her great experience with "Take Care of my Cat." Although she was initially reluctant to take on another role of a "fragile woman," the movie's producer Jang Jin and movie director Lee Seo-Goon convinced this would be the right role for her. In 2011, LYW came back the small-screen with SBS Drama “49 Days”, and once again demonstrated her true value performing two unique roles: depressed Song Yi Kyung and cheerful Shin Ji Huyn. She was one of the most important factors for the success of this drama and has gained even more popularity after that. 2012 is a productive year with her when she took the female leads in 2 movies: Suspect X and Legend Punch and joined MBC anniversary drama: Horse Doctor. In Suspect X, she played Hwa-sun who kills her abusive ex to protect her child and a brilliant mathematician decides to cover her accidental murder; while in Legend Punch, her role is the head of a tough production team and a strong career woman who has the 'legendary team' eating out of her hands. For MBC medical sageuk “Horse Doctor”, she took the role of Kang Ji Nyung, a very progressive woman in the Joseon era. She was the lover at the same time the helper of Baek Gwang Huyn (Jo Seung-Woo) until he became the Royal Physician. Her presence in this drama became the discussion, it was not because of her acting skills, but because the development was too concentrated on the hero that somehow wasted her talent. However, she still received much loved from audience for showing an infinite variety of performance. After Horse Doctor finished in early 2013, she made her quick comeback to drama land in SBS's "Empire of Gold", which revolves around a power struggle over a chaebol. She played the role of female lead Choi Seo-yoon - the “empire princess,” second daughter of the country’s biggest chaebol group who was born with a silver spoon in her mouth. And again, she never failed to amaze audience with her spectacular performance of a wise and icy girl in the battle with two beasts; and won the recognition from SBS with "Top 10 Stars" Award and "Top Excellence Award, Medium-Length Drama" Award. But they might not the most valuables awards for her with "Empire of Gold", because during the filming, she also picked up "gold" and got pregnant of the second baby. In July-25, her Management Agency made announcement that Lee Yo Won gave birth to her second daughter in May, 2014. One year later, it was relayed that on May 17, 2015 Lee Yo Won gave birth to a son. 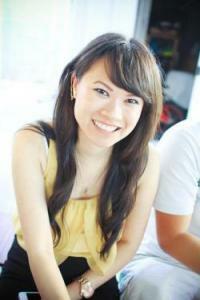 She is now a mother of three, with her two daughters and now a son.Congratulation!!! After long hiatus from Empire of Gold, in 2016, she made her come-back to JTBC's Ms. Temper and Nam Jung-gi. Her character is nicknamed Fire Da-jeong for her fiery temper and is the youngest team manager. In this project, she played the role of a badass and took off the innocent and elegant image she's had up to now. 2016 was a hectic year of Lee Yo Won, because right after Ms. Temper and Nam Jung-gi finished, she joined the production team of the warm family movie "Youngest" as the role of the second child of the family, who is a passionate reporter. "Youngest" was not her last project in 2016, she also joined MBC's drama named "Night light" as an elegant and perfect woman. In 2017, Lee Yo Won made a surprising comeback at a tvN's drama: "Buam-dong Revenge Social Club". In the past, she usually took a year off after one busy year, but 2017 was an exception and this exception was worthy. The drama is the adaptation of the same name webtoon "Buam-dong Revenge Social Club", telling the story of three women from very different walks of life - the privileged daughter of chaebol family, a widowed fish market seller, and the wife of college professor - who come together to enact revenge, but discover friendship in the process. Lee Yo Won played the role of Kim Jung-Hye, who is the chaebol daughter of a family running a big company. She appeares straightforward and arrogant, but she is actually naive and cute. The drama as well as Jung-Hye character were very well loved by not only Korean viewer (peak rating: 6.3%, which is very high number for a cable channel's program) but also international fan. 2002 SBS - Daemang/The Great Ambition/大望 as Yoon Yeo Jin. 2013 Legend of Fist | Jeonseolui Joomeok as main PD of real figting TV show. 2012 Perfect Number | Wonjeonhan Sarang as Hwa-sun. 2002 A.F.R.I.K.A./ 아프리카 as Ji-won. I can't believe she is married and has a daughter at such a young age. She is pretty anyway. i dont know who she is but clicked on this thread anyway and shes pretty cute, i havent seen her in any drama but i see that shes in fashion 70s. now i wanna watch that drama. her little girl is sooooo cute! WOW MARRIED ADN HAS A CHILD? I DID NOT KNOW WHAT. GRRRR....I HOPE SHE WONT STOP ACTING CAUSE OF THIS. BUT SEEING SHE HASNT DONE ANY PROJECTS AFTER FASHION 70s DISSAPPOINTS ME SO MUCH!!!! I HOPE SHE WILL FILM A DRAMA SOON!!!! ++ ANY UPDATES? CAN SOMEONE POST A PICTURE OF HER HUSBAND? THE ONES THAT ARE POSTED ARENT THAT CLEAR. HEHEHEHHE...I WANNA SEE WHO TOOK LEE YO WON'S HEART AND CAUSE SHE TO HAVE ANY PORJECTS! 김상경 ^^as the main character i like him~~ .he such a good actor in the movie he is a cab driver . .and lee yo won will be playing the role of his girlfriend in the movie ! and lee jun ki is his brother .. The tragic May 1980 Gwangju massacre is one of the most significant incidents in South Korea's modern history. The citizens of the city Gwangju protested en masse against the military junta of CHUN Doo-hwan. CHUN responded by sending tanks and paratroopers, they took control of the city with violence and bloodshed. May 18, 1980 was the first day of the uprising and May 18 is now a National memorial day in South Korea. The whole incident was more politically explosive because the military units CHUN dispatched were under shared South Korean and American command; therefore it's believed that the American military gave its consent to CHUN for using military force against citizens. For South Korean standards, Hwaryeohan Hyuga will be a big budget ($10 million) film. Korean major film company CJ Entertainment and Keyweck Shidae are collaborating on this project. Keyweck Shidae also produced A Single Spark, another political themed film. A Single Spark is about JEON Tae-il, who was a leading figure of the labor movement protesting against the exploitation of workers under a military regime. Before her comeback in "Fashion 70s", I thought it was a shame that she got married so early. But now as I look at pics of her wedding and her cute daughter...I get it. She seems quite happy and content.^^ Plus her career is going well: I love "When Romance Meets Destiny" and F70s, and to be casted in that Kwangju massacre movie is quite a coup. Why not, a girl can have it all. I really like her sweet smile. Does anyone have her wedding and her daughter's photos? can you share with me? thanks. she's married? she's so young though. 12/8/06 Lee Yo Won (이요원) will costar with movie star Lee Bum Soo (이범수) in the Wednesday-Thursday drama Surgeon Bong Dal Hee (외과의사 봉달희) scheduled to be aired by SBS on 1/17/07. She plays the heroine Bong Dal Hee (봉달희). This medical drama is similar to the drama Medical Center (메디컬 센터) aired by SBS in 2000 portraying various situations in a hospital as well as problems among doctors and patients. LBS plays the role Ahn Jong Geun (안중근) who is a surgeon specialist. Jong Geun gives lots of helps to the heroine Bong Dal Hee who is a surgeon resident. Supporting cast includes Oh Yoon Ah, Kim Min Joon, and Choi Yu Jin (오윤아, 김민준, 최여진). CYJ plays a medical resident who likes to directly snap people and dislikes Bong Dal Hee. The filming of this drama is scheduled to begin on 12/8.